1. 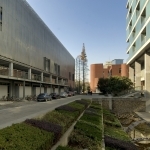 What is CAUP (College of Architecture and Urban Planning) in Tongji University’s general development and characteristics? From a worldwide view, CAUP is supported by four distinctive characteristics. The first one is the culture and the spirit of our university and college. 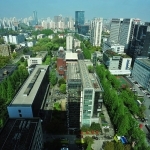 Tongji University features for its spirit of “overcoming difficulties together”, while Feng Jizhong, the director of the Department of Architecture (former CAUP) from 1955 to 1981, defined and featured the culture of the college as “thinking carefully, imagining freely, and learning from others”. The University would like to equip students with an open mind to look forward to something diverse, changing and always keeping forward. Thus, we, CAUP in Tongji University, are second to none in terms of academic background, heritage as well as academic and democratic ideas. The second feature is to keep pace with academic frontier. 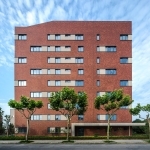 Since 1950s, we have paid much attention to modernism, which is more avant-garde for architectural fields in China, even all over the world. When it came to 1980s, we began to focus on pluralistic ideas which came into being after the modernism. Other than the architecture, we also work on urban planning, such as Garden City and the urban planning philosophy came up by Le Corbusier. In 2003, our college has emphasized four new development directions like “ecological city, green building, digital design and heritage conservation”.We have achieved a lot in these four fields in the past 15 years. The third characteristic is international cooperation. The international cooperation provides CAUP with a great opportunity to promote our architecture, planning and landscape academic education. Till now, we have held 29 innovative cases, the cast majority of which is related to our Talent Development Program. We organize the International Construction Festival for freshmen, as well as Painting From Life Abroad Program and Architecutral Tour Program for sophomore. For senior students and those who are preparing for their thesis designs, there are opportunities for them to involve in international joint design programs. 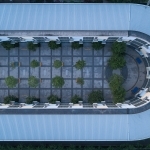 In addition, our graduate department has 19 Bidirectional Dual Degree Development Program, an International Doctoral School specifically for Ph.D, and the research center with the international associated research lab. Each year, we hold a lot of public lectures, including 150 international speeches and invite about 10 modular experts to give lectures. Among the architects that have once won the honor of Prizker Price, 50% of them have given lectures at our college. CAUP has been an international educational institution in architecture design, urban planning and landscape design. The fourth one is AUL-port. 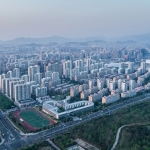 We aim to build Tongji University as an AUL-port. In this port, everyone is invited to come and share with us. That means whoever you are, you can come and share our education resources as well as our ideals and beliefs about the academy and majors. Not limited to theories, you can also apply your ideas to the practices, which is our fourth characteristic. 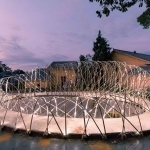 Thanks to the globalization, we become one of the best architecture schools worldwide. In the past four years or so, more than 80 colleges have sent delegations to CAUP to learn and share with us. In addition, we have ranked 18th in the QS World University Rankings by Architecture / Built Environment, which represents that CAUP has become one of the most influential top world-class architecture schools. 2. 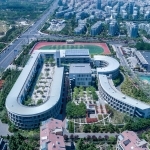 Under the background of globalization, what achievements in teaching have CAUP reached through the communication and cooperation between Tongji University and worldwide prestige university? And under the impact of globalization, what adjustments have CAUP made towards the core principle of cultivating outstanding talents and architects? Being an all-around, multi-level, high-standard and distinctive Architectural and Urban Planning School is our goal in globalization. What is all-around? For our students, they will receive international class from entering the college all the way to their graduation of Ph.D, even post-doctoral, which will leave a strong impact on their entire career. Just like what I have mentioned above, there is an international construction festival at the end of our students’ first academic year. Every year, 50 to 60 paperboard structures are built during the festival, half of which are by students of Tongji University. About a quarter of the participates are from other domestic universities and the others are from abroad. That means a lot to students – they will consider themselves as someone with global horizons and ideas, driving them to see not only the things happening in their daily life, but also the development of the entire architectural industry. The number of joined studios had reached 40 per year and we have controled it to a dozen. We can provide our graduates with 36 English courses, where Chinese and Foreign students take their class together. All PhD students are required to join in the International Doctoral School after entering the family of CAUP. Our resources are accessible for everyone in the country. At the same time, we are glad to welcome doctoral students abroad to join us. 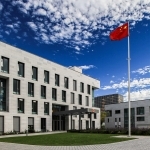 There are countless cases involving international cooperation in the process of talent cultivation, from the undergraduate education to graduate and Ph.D projects. Under such a global background, our mission is to feet on China while eyes on the world. 3. 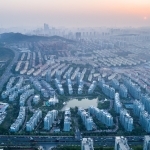 How do you think about the teaching theories and guidelines of the School of Architecture and Urban Planning should cater to the development trend of the market? And in terms of the development of architecture field and social responsibilities, what kind of contributions do you think the architectural school should make? I would rather call it combining than catering. Actually, as teachers in architecture school, we have a lot of responsibilities. A truly outstanding first-class university is not employment-oriented. However, if you desire to foster a professional architect, you have to take the demands of markets and society into great consideration. Our former president has emphasized five requirements. These requirements are from as follows: students, parents, the society, the subject, and finally, the university. They are different from each other that we need to be much more diverse and open to take different requirements into account. As Confucius said, education is something for all without discrimination. A first-class university should not limit itself to fostering students who can find good jobs, but shaping them as the persons who can contribute to the whole society with their wisdom. Education should be multi-level and comprehensive. We are encouraged to create a profound, open and diverse learning environment for our students. We should not involved ourselves into one specific teaching method. Under today’s overall background, our higher education is facing four transformations: information, globalization, competition and cooperation. There is logic behind the former three, as that globalization and information lead to competition. And the last one, cooperation, means working together or forming a mechanism. For me, I plan to build the university into five P2P platforms, of which the first one is people to people. That is because people can make a discussion regardless of its results only when they are at university. The second one is people to paper. The university is a place where students are fostered to qualify themselves with the abilities of research. The third one is called people to project. We expect our students to acquire the ability of finishing a project indipendently during their study in the school. They should be trained to finish a thing, a design project or something else, individually, while cooperating well with others. The fourth one is called people to practice, since architecture is a practical science. The last one is called peoples to peoples, which embodies that people in different institutions have opportunities to get together. For example, Harvard, MIT, and ETH, etc., can visit us. In addition, we can create a platform to bring together different groups like government agencies, NGOs, people in industrial fields, even a technology company. Media, journalism, and culture can be integrated here. A first-class university doesn’t foster a person who only cares about the employment. What we want to foster is a dilligent and innovative person full of ideals. He or she should be a leading talent that can eventually achieve or partially achieve their ideals. 4. 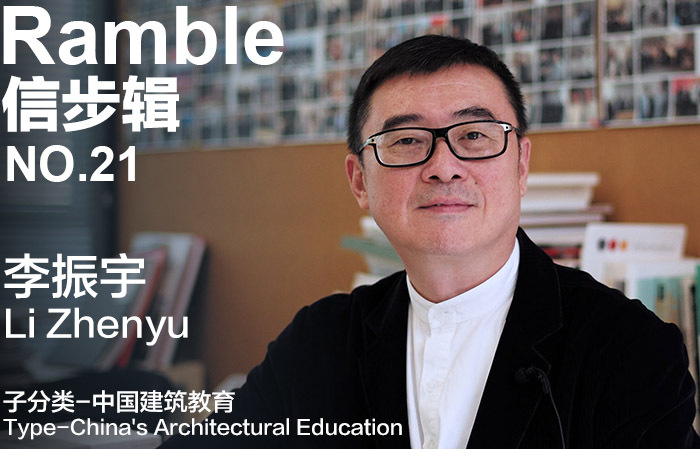 In what aspects do you think China’s architectural education should be promoted and improved? The coming transformation that the Architecture is facing up with including five aspects. The first aspect is from experience to technology. In the past, we decided the scale of the space based on our experiences, while at present we can take advantage of the algorithm, artificial intelligence and computers to pre-measure the space. Second, the space is transformed from exclusive to sharing. In the past, a room represented an office. However, in the future it probably transforms into a mobile office. Let alone after digitization, the office can appear everywhere. Corresponding to this mode transformation, the form of office space will be changed. The third aspect is from construction to ecology. That means what we do will equal with what we don’t. In the past, we mainly taught students to do something. Yet now, we need to tell them not to do something, avoiding damage to the environment. Fourth, from modern to contemporary. Modern represents Modernism, which contains a lot of genres and styles, playing an important role in our daily life. Meanwhile, it is our duty to pay attention to the emerging things today, developing what is not thought of in the modernism. Finally, from the aesthetics to the society. For me, it is essential to work on these five aspects. In addition, don’t hold the idea that we could teach student something. They learn the knowledge because they have the ability of learning. What can we do with the rapidly changing society? The answer is to face it with an open, pluralistic, inclusive and encouraging attitude. I hope that our architectural education can be more open, diverse and comprehensive, focusing more on young generations’ ideas and learning from them. 5. 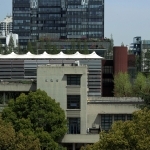 As the Dean of a most influential college of architecture and urban planning, do you have any suggestions for students? First, you should be enthusiastic about life. As an architect, our original intention is the passion and care towards life. You could never finish a good project without caring about life. Second, you should qualify a dynamic and open attitude. It is significant for us to accept new things with an inclusive vision. Third, you should contribute your academic background to the society. Give yourself some time to think about this question: as an architect, can I make a distinctive contribution from others? As the saying goes, things in China are things in the world, which means you should combine your innovation with the demands of the society. 6. 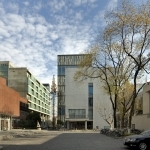 Is there anything you think that China can use as a reference from Germany in terms of architecture and urban planning, since you stayed in Germany for several years and have reached great achievements in academic and cultural exchanges between China and Germany? Sino-German exchange is the starting line of my tiny effort in international exchanges. In my view, there are three things that are worthwhile for us to learn from Germany. The first one is that Germany is the origin of modern architecture. 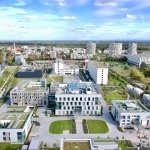 Second, Germany has accomplished a tremendous thing in the 1980s, which was inviting architects from all over the world to West Berlin to hold an architecture expo, where they built nearly 200 projects with reviewing and criticizing to previous works. Updating with Cautiousness and Reconstruction with Critics were the two slogans of the event. Third, we should appreciate the pursuits and tastes of Genman architects and German architectural industry. We can use the quality, aesthetics and tastes of Germany as a reference. Actually, the desire for aesthetics plays an important role in their work. 7. 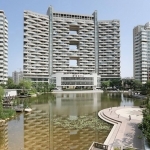 You have accomplished great achievements in China’s residential buildings. 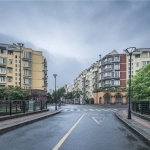 What do you think are the regrets existing in China’s current residential buildings and the environment? 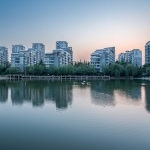 Can you give us an overall image of China’s future residential buildings and living environment in your imagination? We have done a lot of good projects, yet I think there is still something that I can improve. For residential buildings, I have three suggestions. 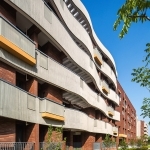 First, I think our affordable housing, including relocating housing and resettlement housing, can be designed less standardized, meaning that we should seek diversity on the basis of unity. Second, I don’t think we should require the promotion of the standard unilaterally. For instance, our daylighting standards are the most severe in the world, which sacrificed a lot of public rights in order to guarantee personal rights. We should look for a balance between public and private rights, which is to say that we should keep control of urban image while pursuing profits of markets. Third, it is good change that we have built shelters for everyone. Thus we should develop multiple living systems for different needs. Houses for rent are severely scarce in our country. If we can design some stable rent houses targeting at young people and low-income middle-class groups, our city will be much more diverse, open and interesting. Another problem is in parking. The parking standards are the same, no matter for low-rent housing or for affordable housing, though they may have different needs. I think that is what we can improve. 8. What is your focus on your current design? Sharing comes the priority in my design. I have written an article namedTowards Shared Architecture, which illustrates some potential ideas brought by the form changes created by sharing. Besides, I have once thought up with an idea of “Vernacular architecture, Typological contribution”. “Vernacular architecture” is related to our daily life. 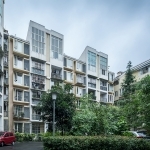 Some architects are too proud to design something secular, such as commercial residential buildings, which connect closely with our daily life. “Typological contribution” means accomplishing something marvelous by using general materials and forms, like making innovation in space and form.